– J. Lohr Vineyards & Wines has named Kristen Barnhisel as their winemaker for white wine, joining a veteran winemaking team that includes red winemaker Steve Peck and longtime director of winemaking and president/COO Jeff Meier, who will continue to ensure the stylistic continuity of all J. Lohr wines. Raised in Santa Rosa by a microbiologist mother who worked for Simi Winery, and a father who made wine in the family home, Barnhisel has spent over two decades working with an array of grape varieties. After studying biology and Italian literature at UC San Diego, Barnhisel became one of the first women, and first Americans, to work harvest season for Ruffino in Italy. Barnhisel went on to earn a master’s degree in enology from UC Davis, before joining Washington State’s Columbia Crest as enologist. Following positions as assistant winemaker at Jordan Vineyard & Winery and Belvedere Winery, Barnhisel joined Handley Cellars in Anderson Valley, Mendocino County in 2004, where she was co-winemaker with Milla Handley until 2012. Most recently, Barnhisel was the quality control manager at Inglenook, where she was charged with ensuring wine quality of the Rubicon, Inglenook’s flagship Cabernet Sauvignon, and the Blancaneaux, the winery’s top white wine. 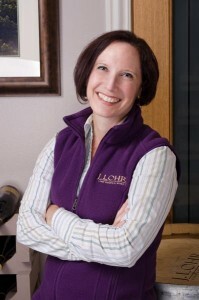 In addition to her new role for J. Lohr, Barnhisel serves as a director for the American Society of Viticulture and Enology.